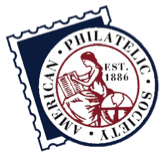 In an effort to provide an outlet for philatelic shutterbugs and to provide continued content for the First Days Snapshots column, your journal editors are sponsoring a First Days Photo Contest. People: Show your family, your kids (like young Billy Patkin pictured here), or anyone else and feature them in unusual poses or places. Pets and Animals: Feature your pet or any other animal and get them to pose with First Days. Please no charging bulls or alligators; we prize your membership. Places: The world is your oyster. Put First Days on location anywhere in the world. In this category, the location takes center stage. Electronic: Take an existing image and change it to include First Days. 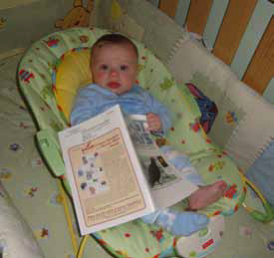 The only guidelines are that the photo must be in good taste and must prominently include a 2011 issue of First Days. Photos may be natural or posed. When evaluating photos for the contest, subject, image quality, imagination, creativity and degree of difficulty will be considered. For example, a photo of the president holding First Days in the Oval Office or a photo of a family member holding First Days on the peak of Mt. McKinley would score very highly. The Electronic category is for techies who want to take an existing image and manipulate it by including First Days. An example would be a photo of the Statue of Liberty with First Days being held in one hand. By submitting an entry, photographers are consenting to the use of their images, which may be published in First Days and/or showcased on the AFDCS website. Images should be journal quality, normally 300dpi or equivalent. There is no entry fee but there is a total limit of 20 photo entries per individual. Prizes will be appropriate, but they are still being determined and will be announced in a future First Days. Entries must include the photographers name, when and where the photos were taken and a brief one-paragraph caption for each entry. You may submit your photos via e-mail or regular mail. E-mailed entries should have “First Days Photo Contest” in the subject line. For numerous entries a CD with your images may be preferable. If you send original (hard copy) images and would like them returned, please include a SASE. Email entries to: editor@afdcs.org or mail entries to Editor Peter Martin, POB 6074, Fredericksburg, VA 22403.